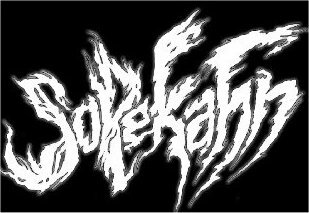 Solekahn is a death metal band from France, who have recently released their EP entitled "Suffering Winds" on Imperial Maze records. They started out as Soul Stealer in 1995 and released a demo called "Profaned Night" four years later. "Suffering Winds" is their first 'real' effort. Solekahn have harnassed their raw and very pure sound very well. I don't mean that in the early Darkthrone kind of way, which to those rather more aurally challenged may also get across as "pure" and/or "raw". No, Solekahn have released on this EP eight death metal tracks that have their own distinct personality. The production could have benefitted from more in the bass field, as especially the drums do not sound quite as heavy as perhaps they should have. The "Suffering Winds" EP lifts a tip of the veil of what we may expect from Solekahn in the future.